Popular in the 20th century, especially in the 1940’s and 50’s the composite bouquet is making a glorious return to the bridal scene. 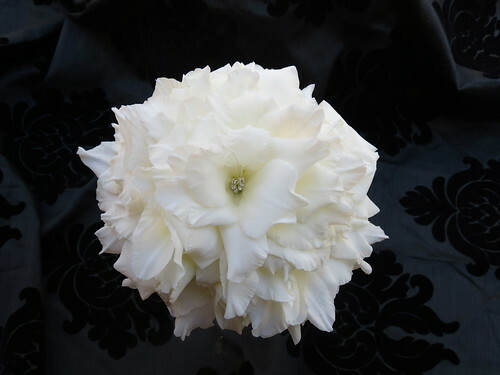 Traditionally these bouquets were made for ladies attending High socialite galas and events. A true labor of love and patience, in order to put one together beautiful flowers were chosen and the petals will be separated from the stem. Once the best petals were selected, the florist will wire them at the base of the petal one by one, as of creating a single stem per petal. Afterwards all of them will be combined in layers with a flower in the center to create the illusion of a single giant one. 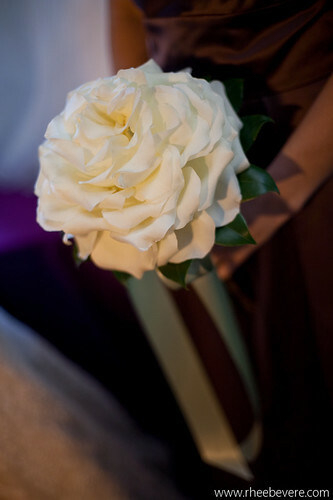 Nowadays many florists have come up with an easier and practical solution to put composite bouquets together. Instead of the wiring technique, most professionals will use florist glue and create a fake base to place and support the single petals on. 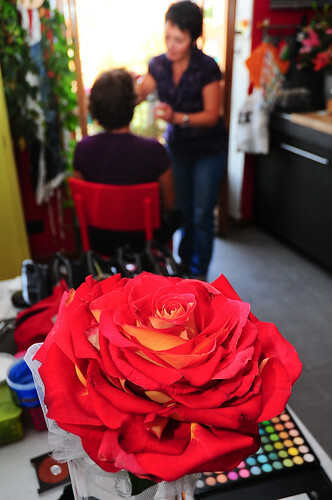 The main flower is inserted in the middle to complete the creation. 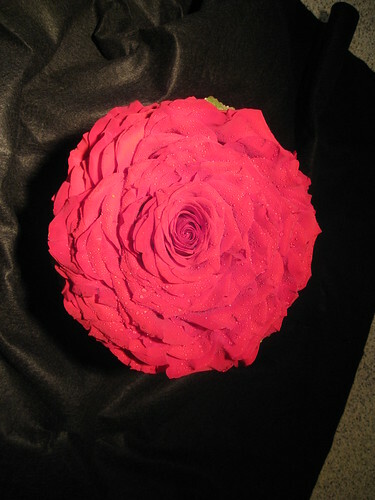 The most popular name for this type of creations other than composite bouquets is glamelia. However they are referred to as rose duchesse, duchess rose, fantasy flower, Carmen Lily and/or Malmaison Rose.